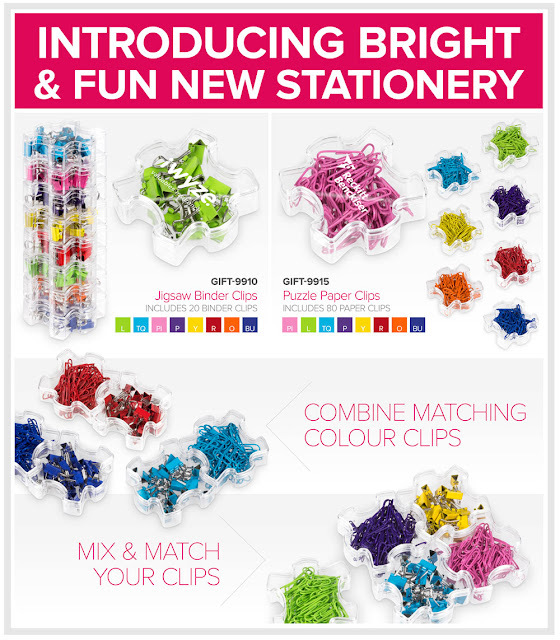 Brighten up your workstation with our fabulous new range of bold and colourful stationery items! Packaged in unique presentation cases, our Jigsaw Binder Clips and Puzzle Paper Clips can be linked together like a puzzle, when two or more units are purchased. Combine matching colour binder and paper clips to create a multi-purpose set or mix and match to create a colour combination of your choice from the 8 colour options available. Features:Made from durable PVCPencil case size: 21.5 ( l ) x 8.5 ( h )..
Start the new school year with a bang with this colourful selection of stationery essentials.From pencils to rulers to sharpeners, we have everything ..
Our new Fusion Paper Clips will be a best seller. Available in 8 vivid colours and presented in a funky mini jar with matching colour lid, these handy..